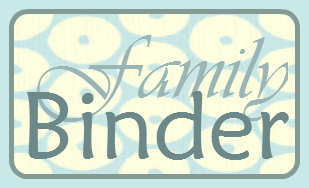 This section has probably been the best part of the Family Binder for me. 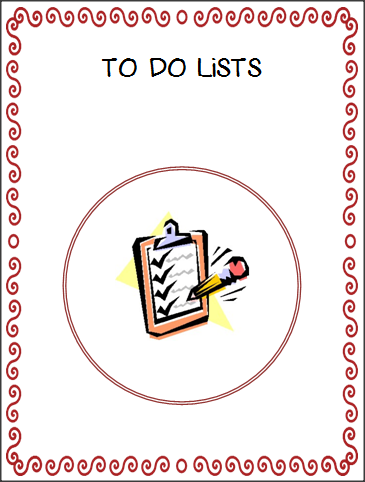 Because I use the plastic covers to put my lists in, I can use a dry erase marker to check off the tasks on my To Do lists as I complete them. For me, there's just something very gratifying about that! 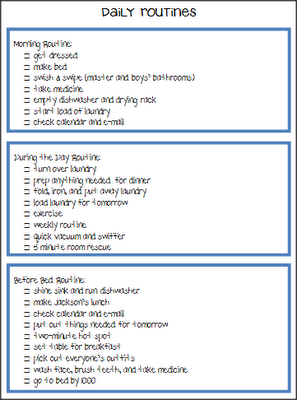 I have a daily and weekly list. 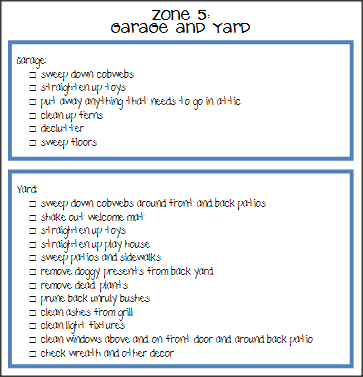 I also broke my house into 5 zones and have a list for each of those. 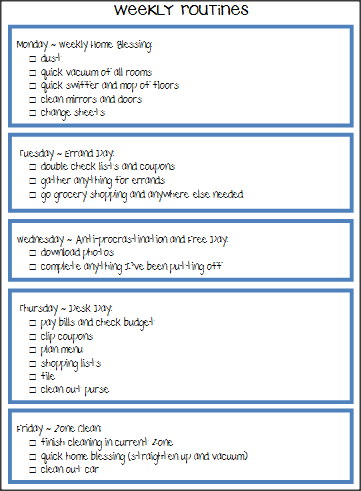 I do a zone a week. 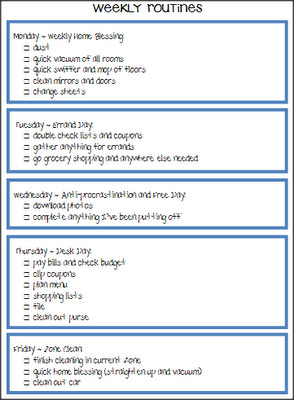 These ideas originated with Flylady, and then I tweaked them to work for me. 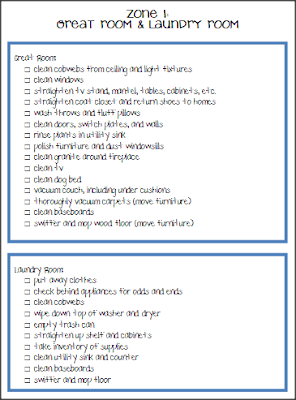 There are some terms that are unique to Flylady, so if you have any questions about what they mean, leave a comment or check out her site. You will most likely have to adjust them to work for you as well, but this will at least give you a jumping off point. I will also eventually add a seasonal checklist to this section. 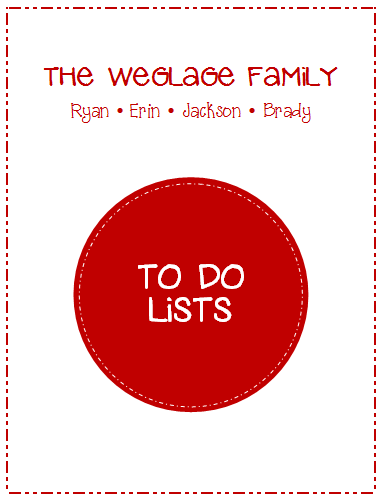 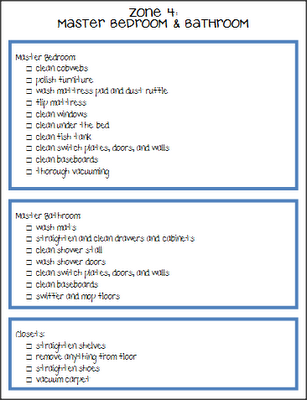 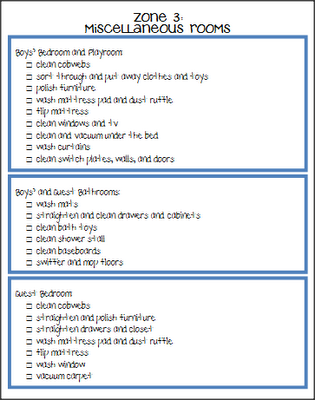 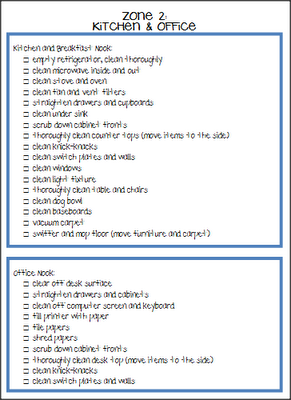 I am working on making them downloadable so that you can edit the lists to work for you and your house.